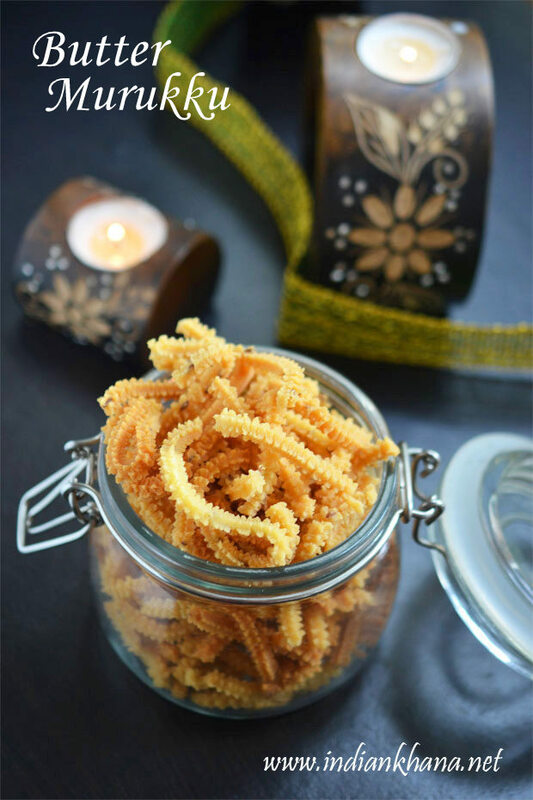 Butter Murukku, Vennai Murukku, Venna Murukulu or chakli is easy murukku recipe with minimal ingredients. 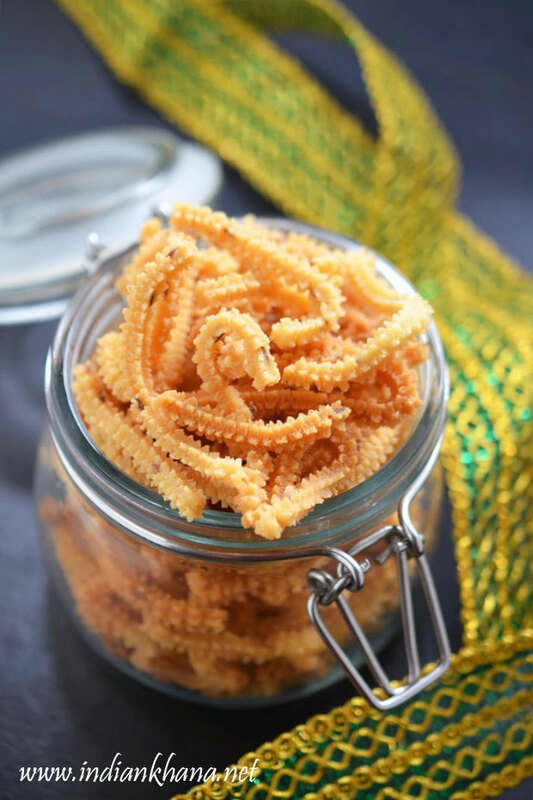 This butter murukku is super delicious it's crunchy yet soft, there's is only one problem that we can't stop eating this yummy murukku :). 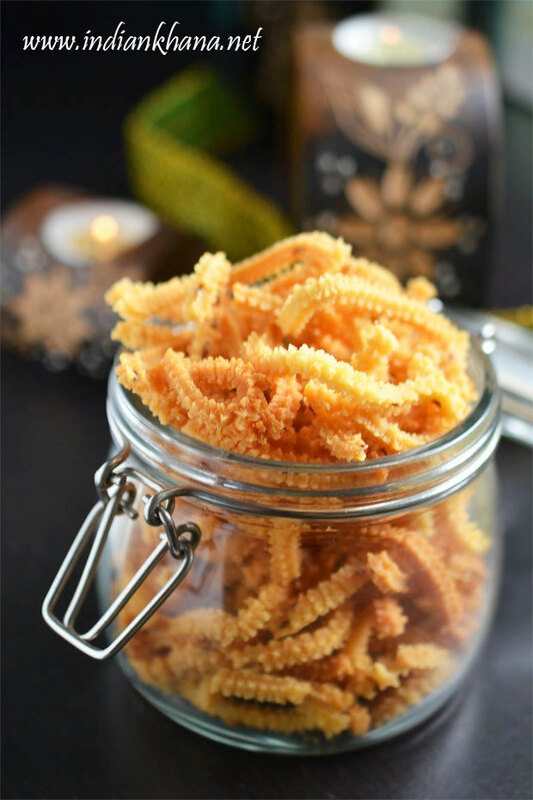 I wanted to post this easy butter murukku for long time but whenever I make it gets disappear so fast that I was not to take pictures, this time I made in small quantity so I can take pictures and share you all this wonderful recipe and rest I will make just before diwali as this is one of the favorite too and makes good snack for Diwali or even for tea time. Grind roasted gram dal/Pottu kadalai or chutney dal in mixer into fine powder, sieve it and measure 2 tbsp to use. In a bowl add rice flour, prepared roasted gram flour, gram flour (besan), hing, softened butter and salt. Rub well with hands to combine everything well. Add water in small quantity to make little tight (not very), smooth, non sticky dough without any cracks knead the dough well for that, keep the dough covered always. Take murukku machine or press and use star hole disc/plate. Fill the murukku press with dough (for 1 cup I was had to fill only once) and heat oil for frying in a kadai/wok. You can directly press murukku on hot oil, if you knead the dough well smooth yet little tight the murukku will break by itself while we squeeze or grease 2-3 ladles and press on them first, gently drop the murukku in hot oil, don't over crowd the kadai, it will take longer time to cook and they will break in small pieces when you stir. Cook in medium flame once bubbles reduces turn and cook another side until bubbles ceases. Drain murukku in kitchen tissues, repeat same for rest of dough. Make smooth dough while still little tight, knead well so there are no cracks. You can replace cumin seeds with sesame seeds. 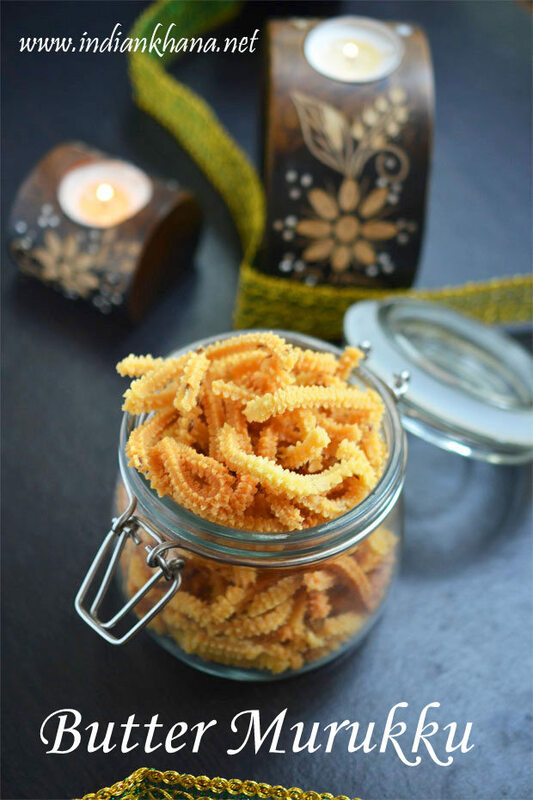 Cook in medium flame, if the oil temperatures drops, they will be oil drunken murukku. Don't over crowd while squeezing it will result in pieces getting break into smaller size. Water quantity depends on quality of flour so you may or may not need 1/2 cup water, it's better to add water in slowly to avoid adding extra water. 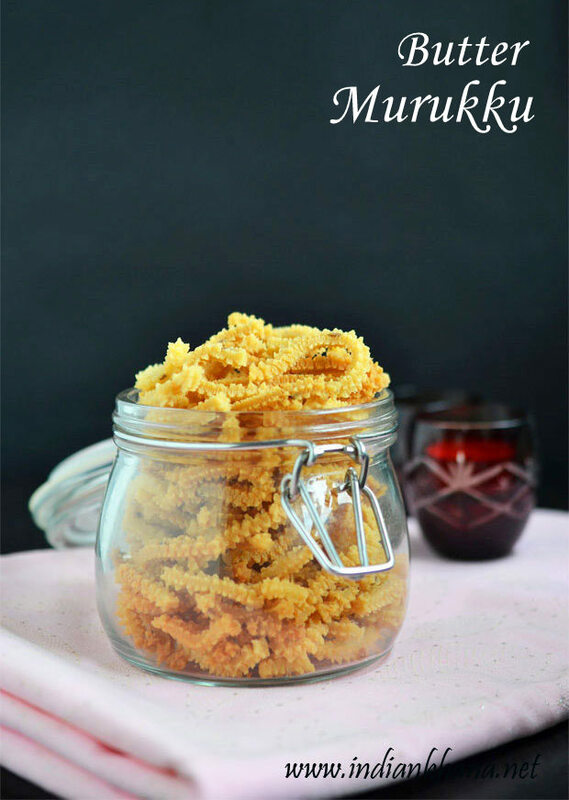 Easy, crunchy yet soft and addictive murukku, enjoy with tea or coffee.